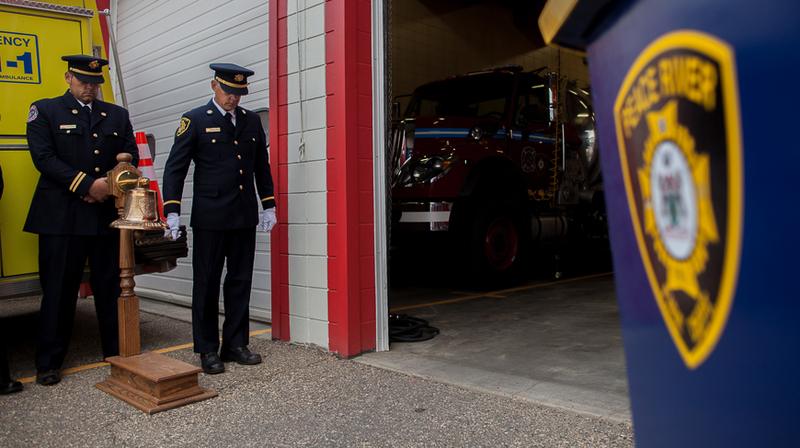 Today marks the first Firefighters’ Memorial Day in Peace River and Canada. This August the Federal Government announced a special memorial day for firefighters would be observed on the second Sunday of September going forward. Prior to now, there had not been a national day memorializing firefighters and the crucial role they play in Canada. In Peace River members of the department observed the inaugural day with a ramp ceremony at the main fire hall located downtown. 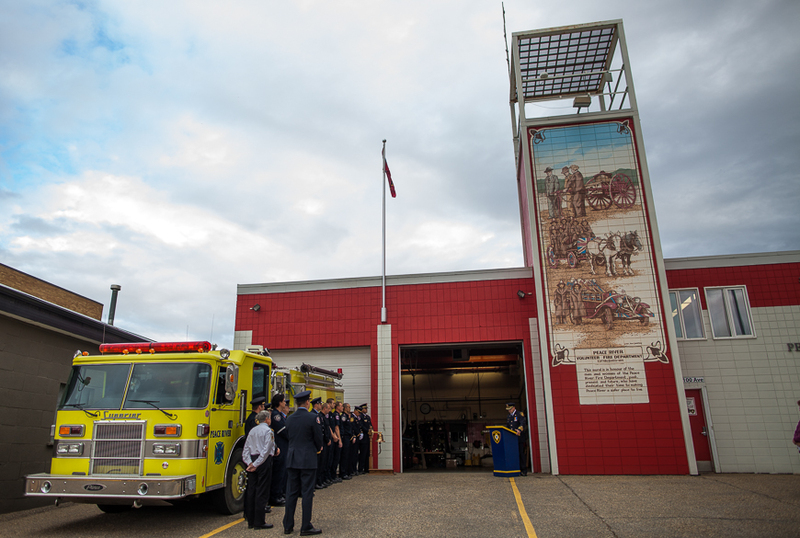 Joined by firefighters from the County of Northern Lights and Northern Sunrise County, a proclamation was signed and municipal flags were lowered to half-mast to commemorate the sacrifices made by firefighters in the name of serving and bettering their communities. Firefighters ring the station bell after lowering flags, prior to a moment of silence in honour of National Firefighters’ Memorial Day. 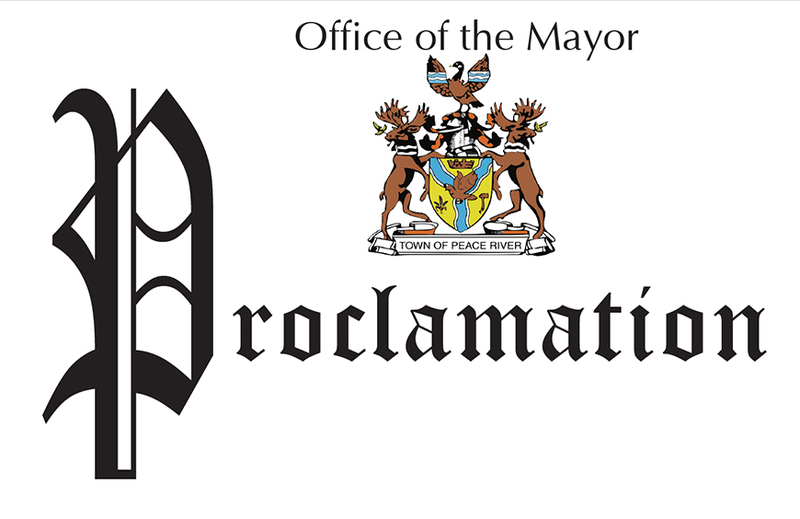 Town of Peace River hereby proclaims September 10, 2017 as “Firefighters’ National Memorial Day,” in the Town of Peace River.